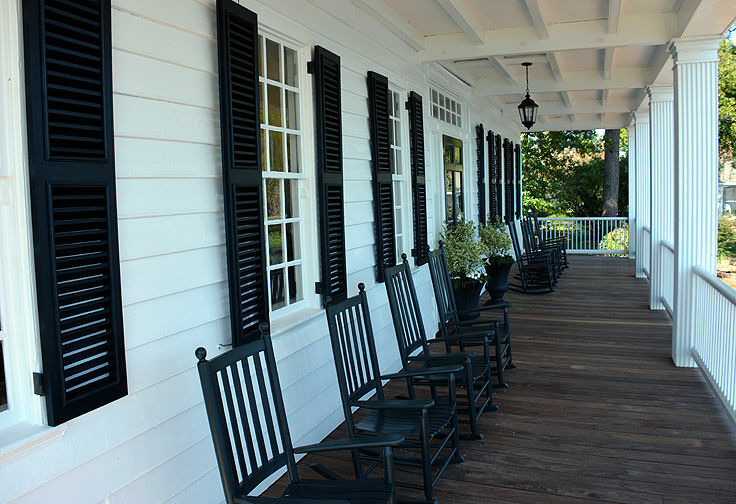 The Barker House, the notable residence of one of Edenton's most famous citizens of all time, Penelope Barker, is a stunning attraction in more ways than one. The stately white home with a unique brick base and three stories of elite living space is a beautiful sight just yards away from the Albemarle River, and while the pristine mansion itself is worthy of an awed visit and a photo or two, the story of its residents is what truly fascinates new Edenton explorers. 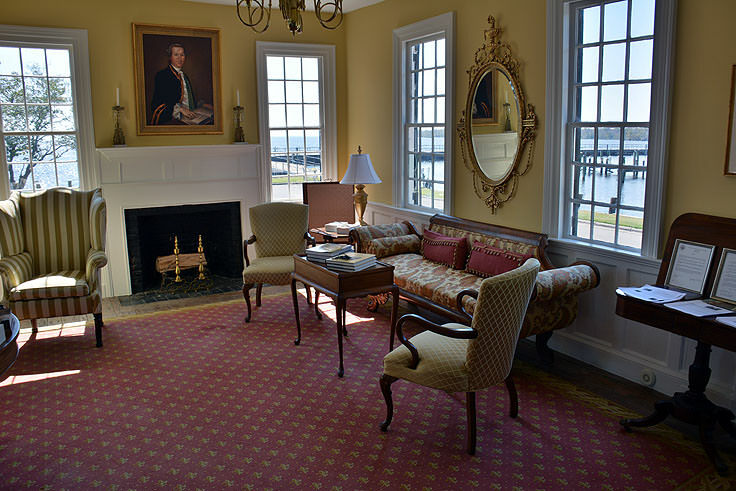 A historic tour that goes hand in hand with an exceptional historic tale, this favorite Edenton destination will surely be a highlight of any Inner Banks exploration. 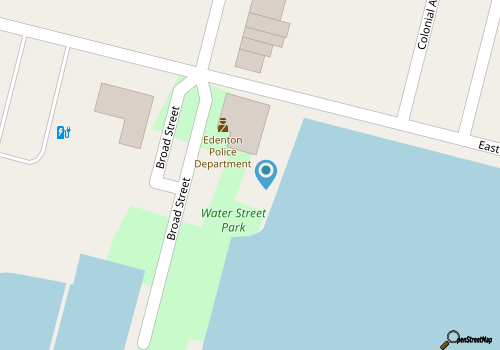 Visitors can easily find the home along the waterfront, close to the downtown region as well as a number of other tour-worthy sites, including the Chowan Arts Council and a small series of local parks, marinas, restaurants, and other Edenton attractions. The massive home was originally built in 1782, (making it one of the oldest in the region), for Thomas and Penelope Barker. While its current locale adjacent to the water is simply stunning, it's not the structure's original site. The house was first located about two blocks north from where it is situated now, and consisted of just the current "parlor wing" of the expansive property. The home rose to regional fame early, thanks solely to Penelope Barker. In 1774, just as the American Revolution was heating up throughout the 13 colonies, Mrs. Barker organized a group of 51 local women, and formed a subsequent alliance dedicated to supporting the newly American cause against "taxation without representation." The end result was a boycott against all British tea and cloth, and the women signed a contract stating they would not purchase or use any product which did not align with their petition against the British and their new American patriotism. Certainly, not drinking tea sounds like a minor act, but considering that afternoon tea was a daily ritual for Revolutionary era women in society, and the fact that women in general had never come together before in a unified and outspoken political protest, the new alliance was a very big deal. The signing of the pledge became nationally known, in news articles and political cartoons, and Penelope herself rose to fame as the founder of the "Edenton Tea Party." In the end, Penelope would be remembered in history as the leader in one of the first organized women's political actions in the country. The home stayed with the Barkers, long after the celebrity of Penelope had died down, until 1830 when it was sold to a prosperous local named Augustus Moore. Moore would effectively expand the house to its current grandeur, adding to the property three times in his lifetime, and expanding it to three floors and a whopping eight total fireplaces. The Moore family would remain in the property for well over a century, until they sold the home to Haywood Phthisic, whose goal was to effectively donate the property to an organization so it could be open to the public. 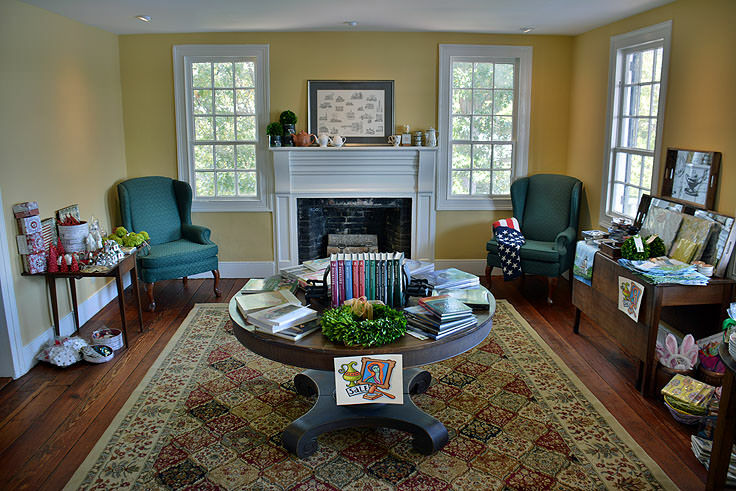 Fittingly, it was the Edenton Woman's Club and the Business and Professional Woman's Club, working with the Junior Chamber of Commerce, who took the reins, restoring the home and turning it into the Historic Edenton Visitor's Center, and then as its own stand-alone attraction. 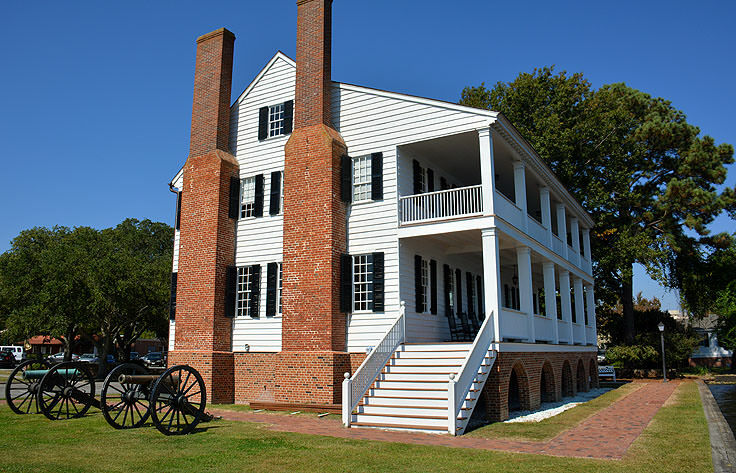 The site was well-known in the region as the "living room of Edenton," and one of its prized local attractions, when in 2006 it added to its prestige with the relocation of two Civil War cannons to the borders of the property. 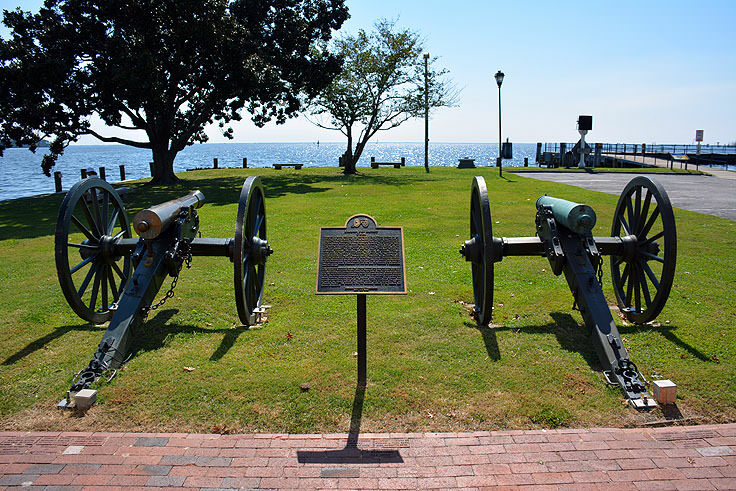 The two cannons, the only two remaining cannons from Edenton's involvement in the Civil War, originated from the Edenton Bell Battery, a local force which melted historic bells and virtually any metals they could get their hands on to protect the region from encroaching Union forces. 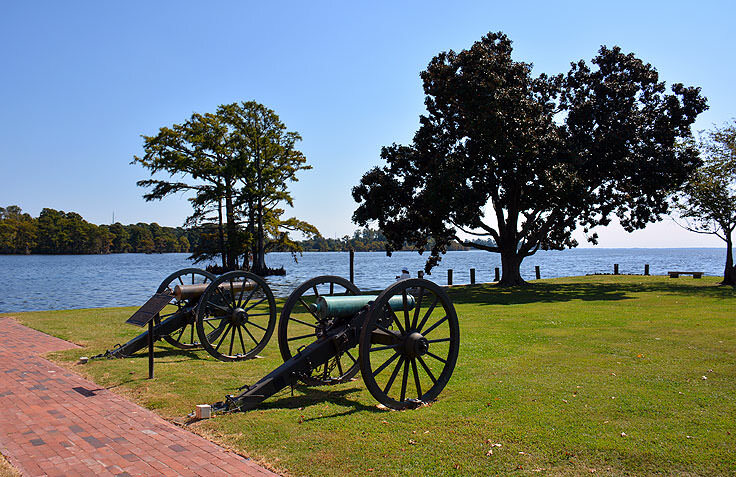 The "Edenton" cannon was constructed from the bell given to the battery from the 1767 Chowan County Courthouse, while the "St. Paul" cannon was named in honor of the donated bell from the St. Paul's Episcopal Church. Both cannons are on full display at the site, and can be admired by anyone touring the perimeter of the expansive home. 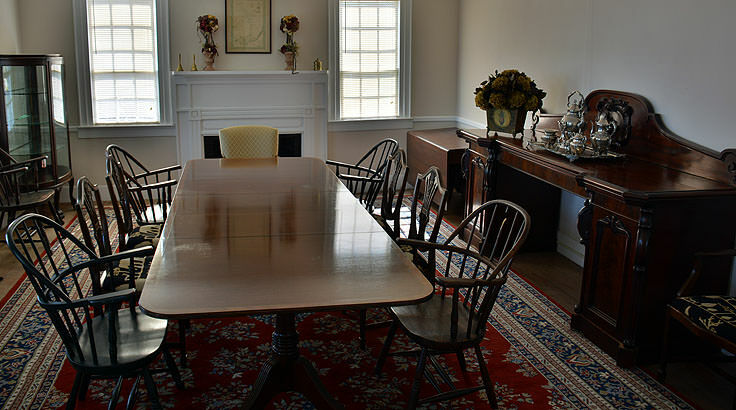 The property is stunning inside and out, with brick walkways that line the outskirts of the home, just steps away from the open water, and intricately furnished rooms that pay homage to the home's notorious Revolutionary War era roots. 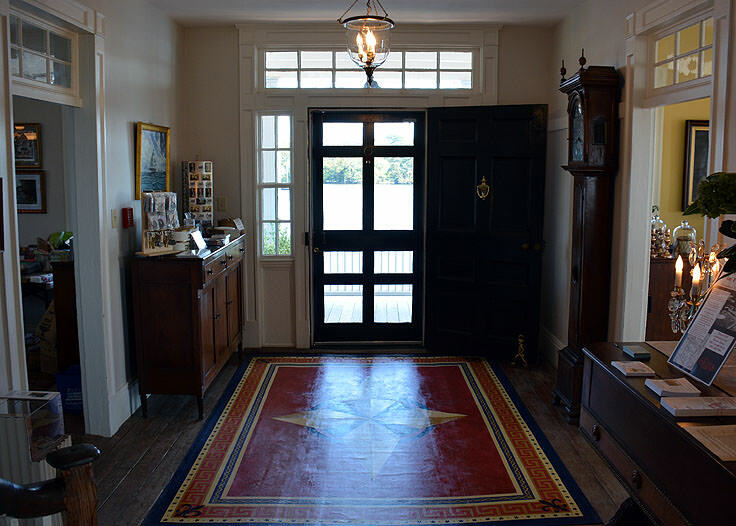 The home also serves as the Edenton & Chowan County's Welcome Center, and admission to the property is completely free. 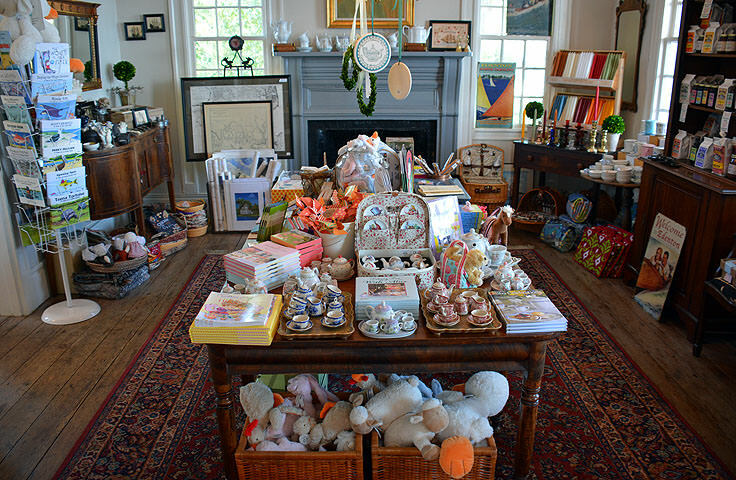 Public tours are given year-round by local volunteer docents, and the home is open every day, year-round from 10:00 a.m. until 4:00 p.m. A camera for this remarkable sight is all but required, as the home itself, as well as its expansive waterfront setting, is easily one of the most remarkable sites in the community. 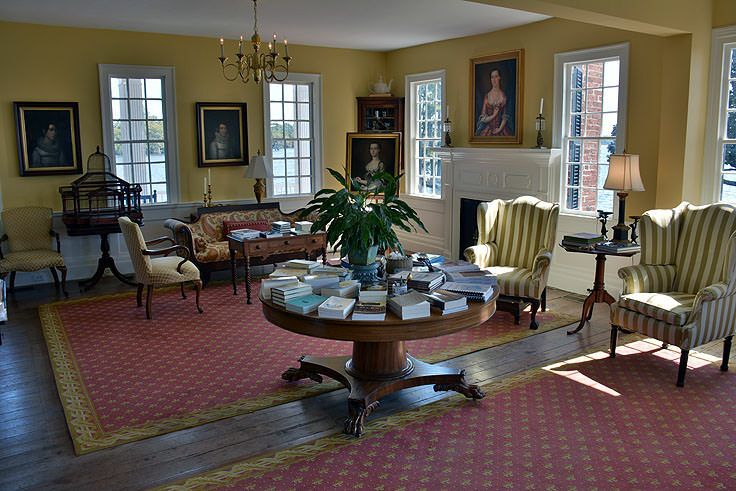 The Barker House is effectively a snapshot of Edenton's surprisingly large role in national history, from the first stirrings of the American Revolution to its minor but dedicated community-wide efforts in the Civil War. 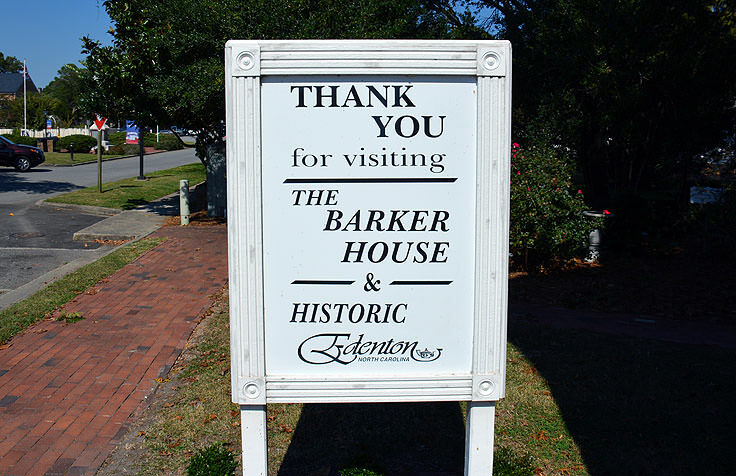 A must-see destination for any visitor to the Edenton region, the Barker home itself and the last remaining cannons of the Edenton Bell Battery are remarkable historical icons that make this town an engaging and truly fascinating stop along any tour of the Inner Banks.